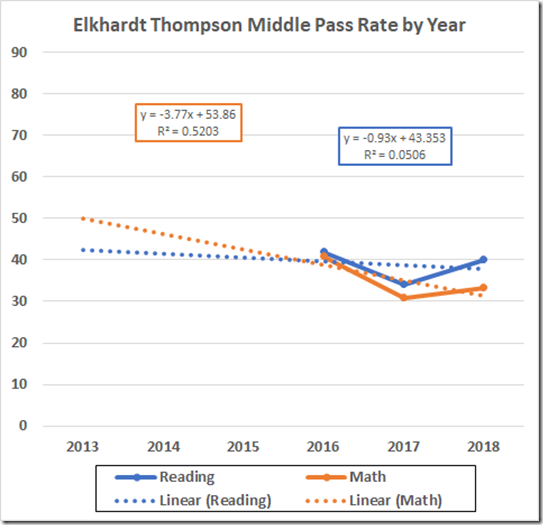 In 2015, RPS merged two failing middle schools to form one failing middle school, ET. 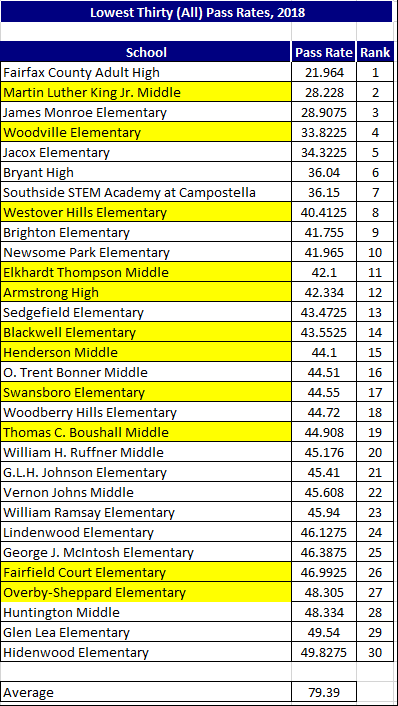 This year, ET was the 11th worst school in the state on the five-subject average. 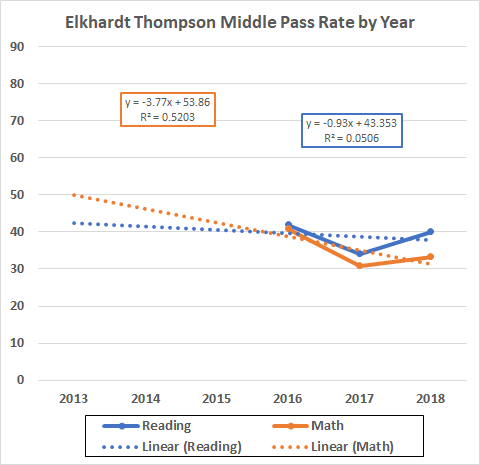 ET got to that point by gaining ground this year. 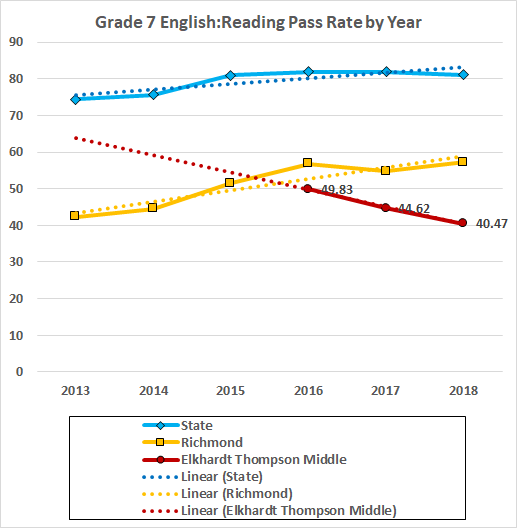 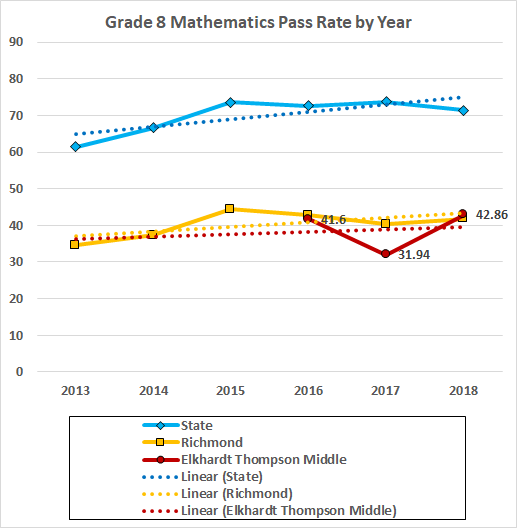 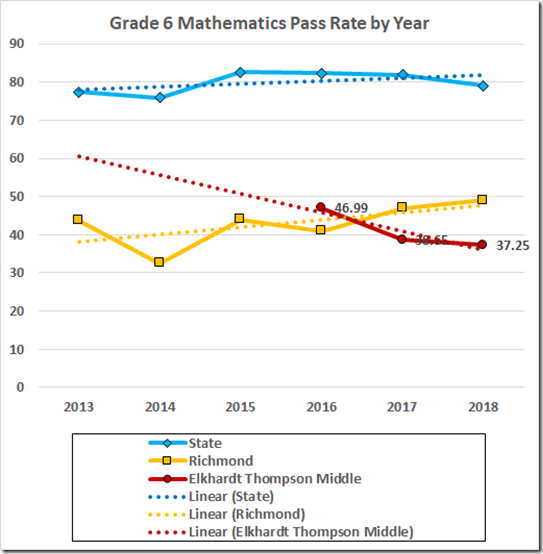 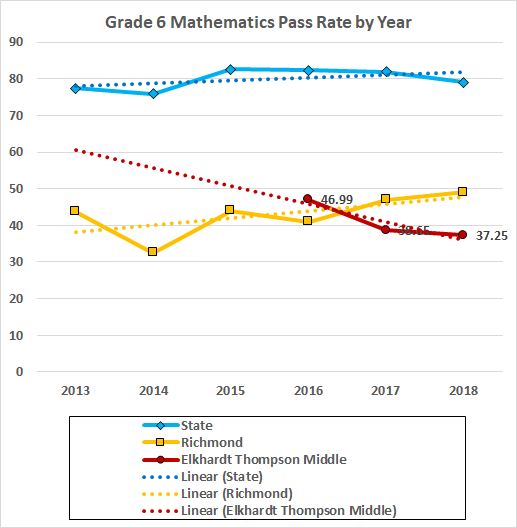 To the extent that the fitted lines mean much with only three data points, they speak of ongoing declines in the pass rates in both reading and math. 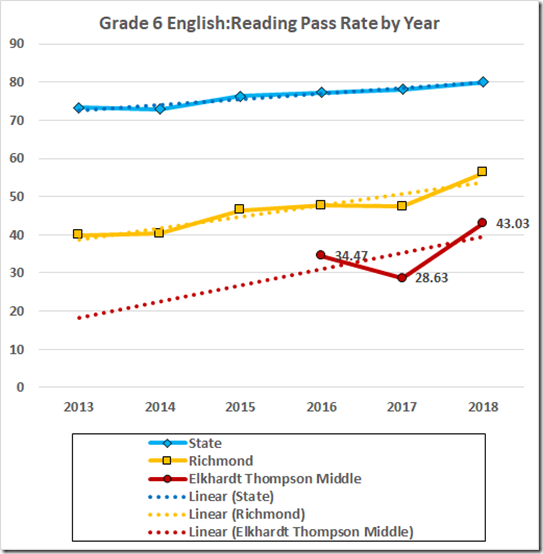 This year, the reading pass rate, 40.1, is 34.9 points below the 75%accreditation benchmark. 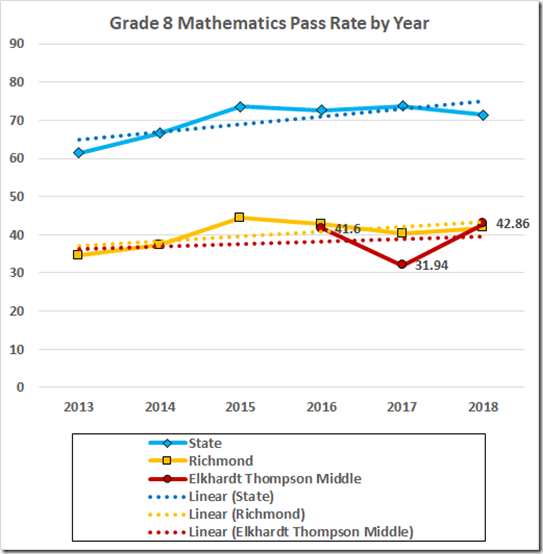 The math pass rate, 33.3, is 36.7 points below the 70% math benchmark. 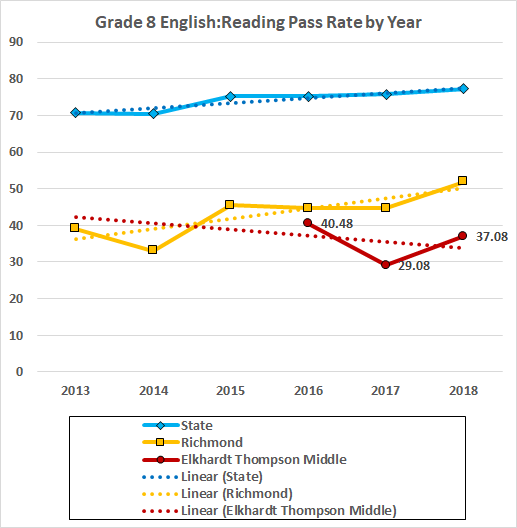 Here are the data by grade and subject. 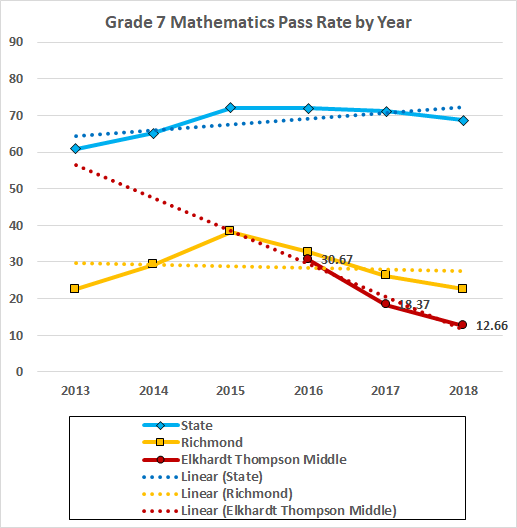 Looks like there is a particular problem in the 7th grade. 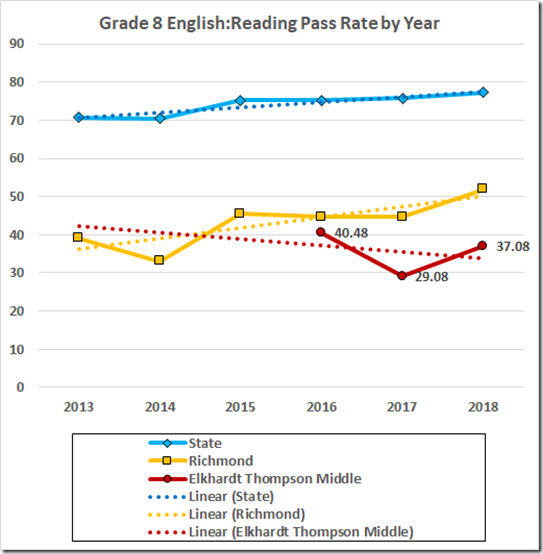 But, then, with a failure rate of 59.9% in reading and 66.67 in math, the entire school is a particular problem. 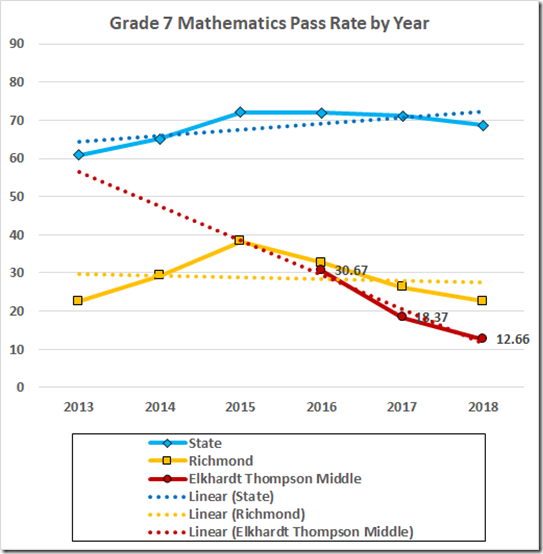 The Board of “Education” has the data to tell us how much that was exacerbated by cheating in the elementary schools that feed ET. 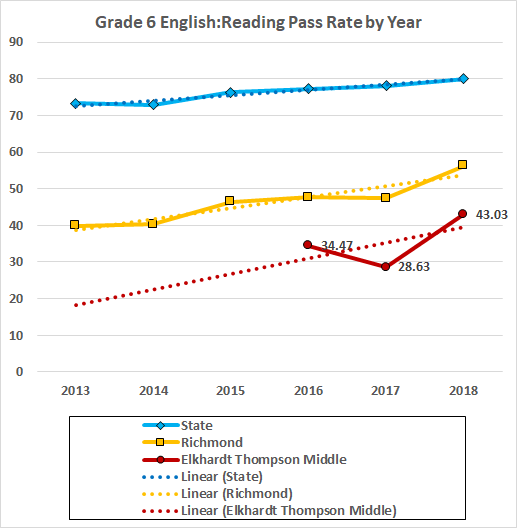 But, of course, they’re not talking. 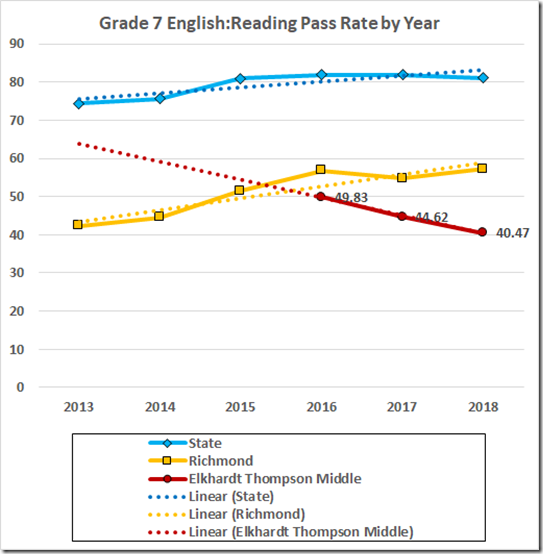 Indeed, I’ll bet you a #2 lead pencil they don’t even look at those data.